UPDATE 12/13/13 – Kristy has been found, said Michigan State Police Trooper Eric T. Desch of the Wayland post. “An attempt will be made to identify those who knowingly aided in her flight and will be held accountable,” Desch said in a press release. “It is important to note that the investigation determined that none of her classmates assisted her. Investigators had used conventional policing methods and computer searches of social networking sites to try to find LaFountain, Sgt. Matt Rogers said earlier Friday. 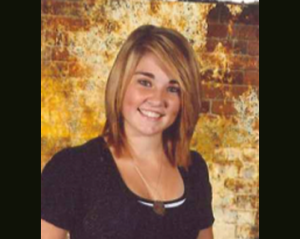 Previous story: Kristy LaFountain, 16, from Martin, Mich. has been missing since Wed., Dec. 11. She sent her family a Facebook message that she was safe, but far away and would call later, but she never called, said Fox 17 news. Lafountain is 5 feet 2 inches tall, 110 lbs. and has shoulder-length red/strawberry hair, according to a release. She also wears braces. She has family in Martin and Grand Rapids, but police say she could be anywhere. Anyone with information on her whereabouts is asked to call Allegan County Dispatch at 269-673-3899 or Michigan State Police’s Wayland post at 269-792-2213.